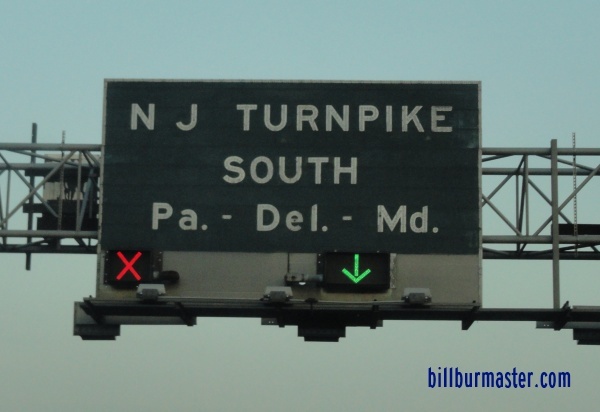 The New Jersey Turnpike is a north-south toll road in the State of New Jersey. 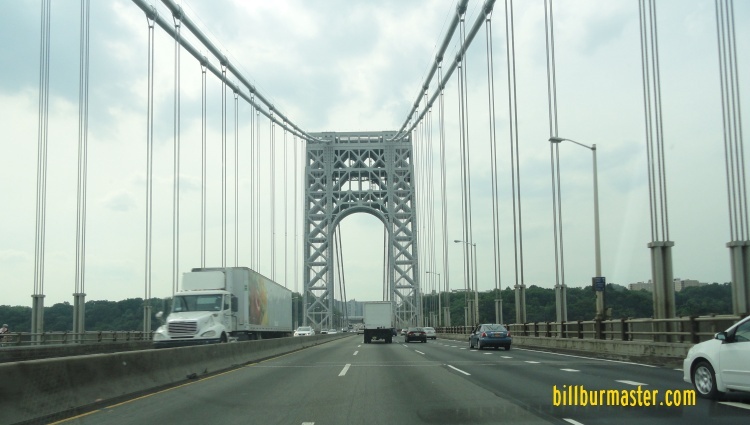 It runs from the New York/New Jersey State Line, at the George Washington Bridge, in Fort Lee, to near the Delaware Memorial Bridge, near Deepwater. 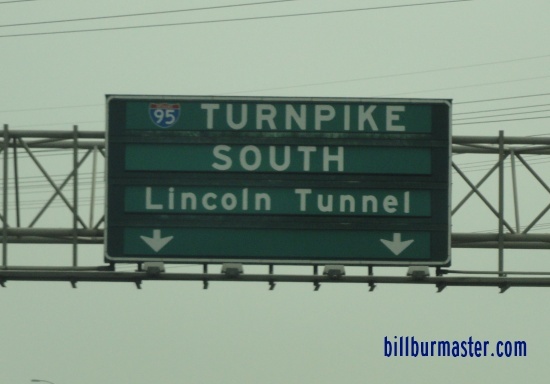 There are two extensions of the turnpike. 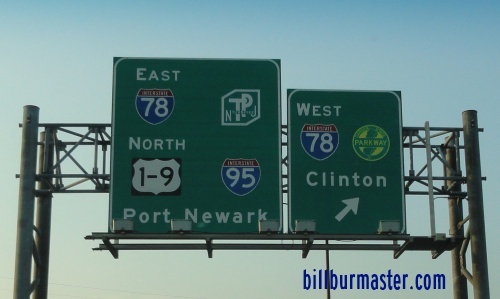 One is the Newark Bay Extention, and the Pearl Harbor Memorial Extention. 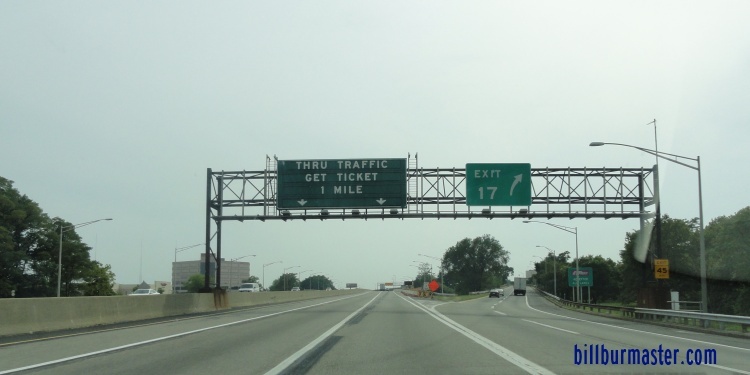 Interstate 78, runs along the Newark Bay, and Interstate 95 runs along the Pearl Harbor Memorial Extention. 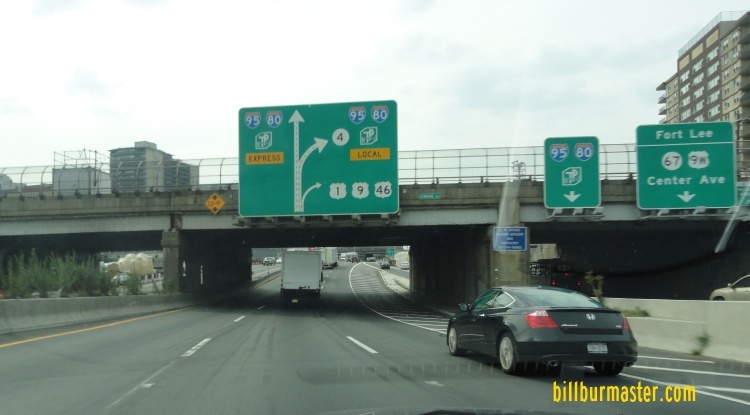 Interstate 95 runs long the main line from the Pearl Harbor Memorial Extention, near Mansfield to the George Washington Bridge, at Fort Lee. 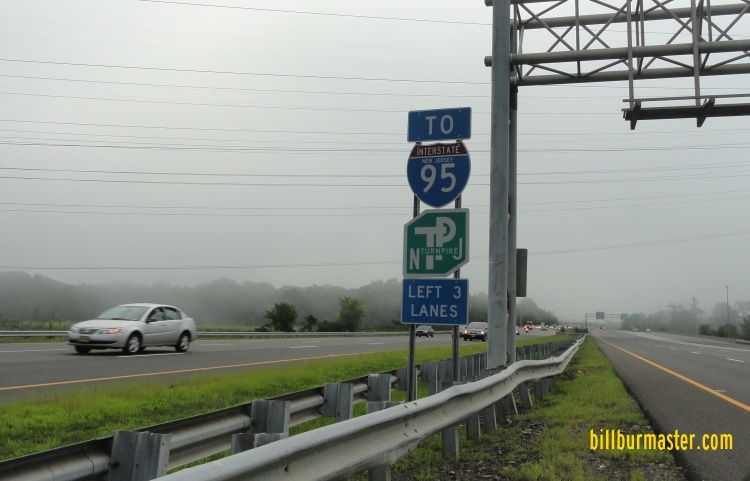 Briefly, Interstate 295 runs along the turnpike. 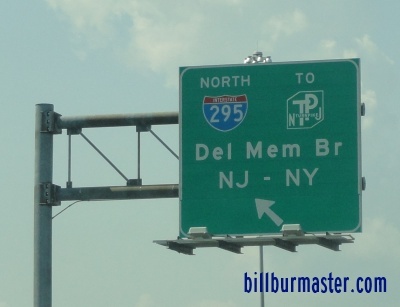 It is along it for about one mile near the Delaware/New Jersey State Line. 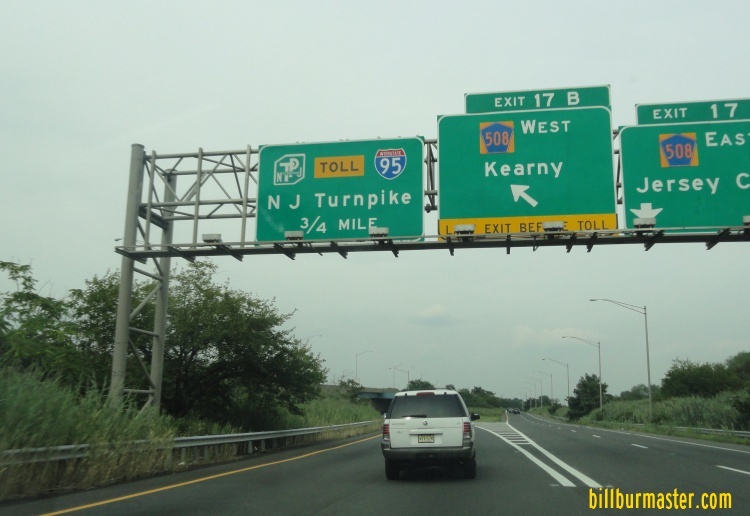 The New Jersey Turnpike passes through the following towns. 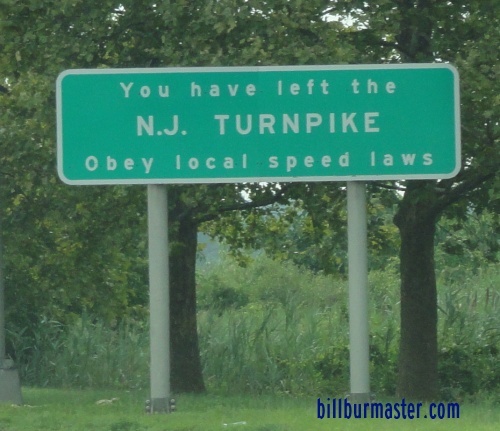 The New Jersey Turnpike is maintained by the New Jersey Turnpike Authority. 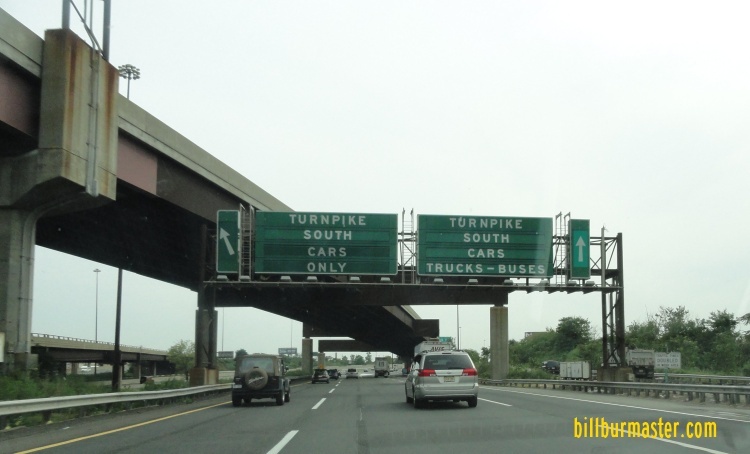 The New Jersey Turnpike crosses the following major highways in New Jersey. 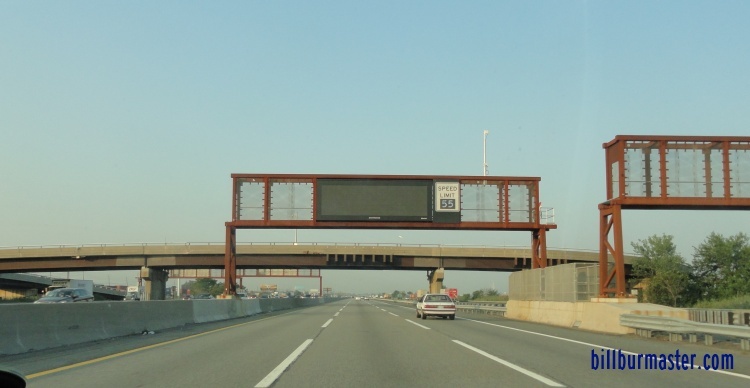 SB I-95/NJT one and a half miles from I-280. 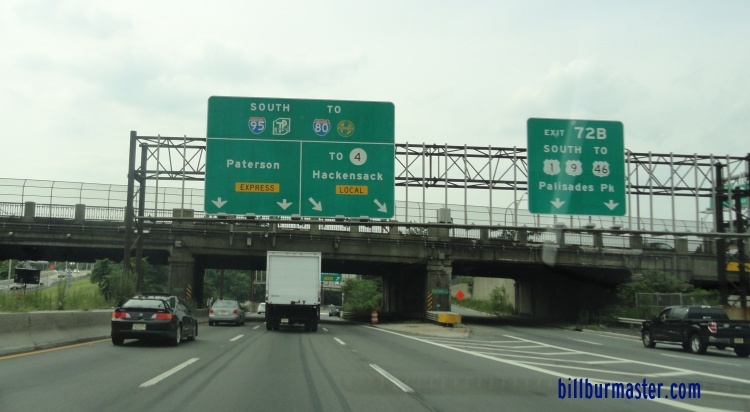 SB I-95 at I-278.Interstate 287, at Edison. 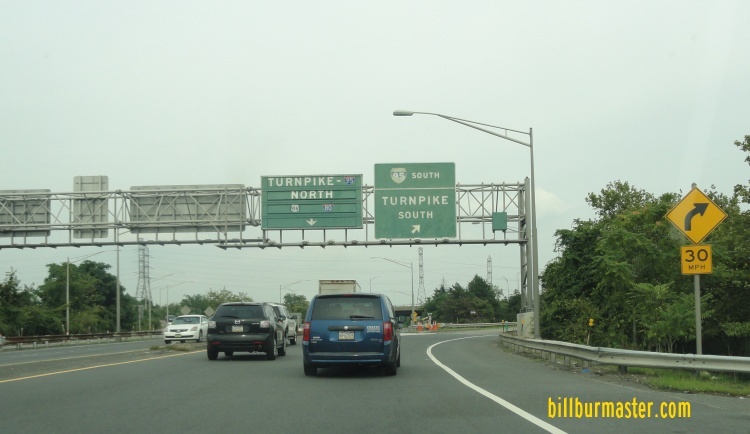 Toll Plazas on the New Jersey Turnpike. 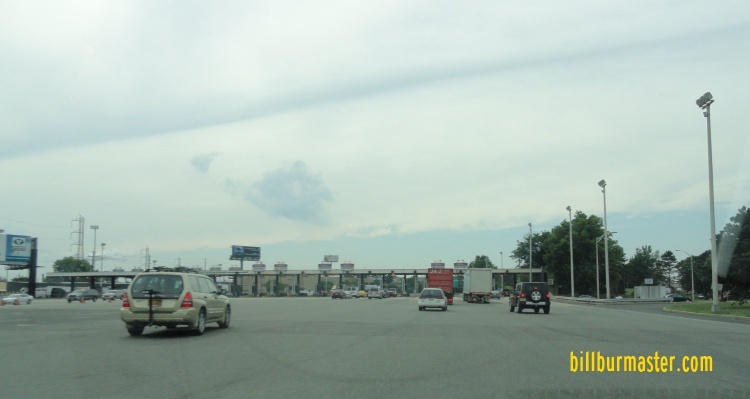 Exit 1 Toll Plaza, near Deepwater. 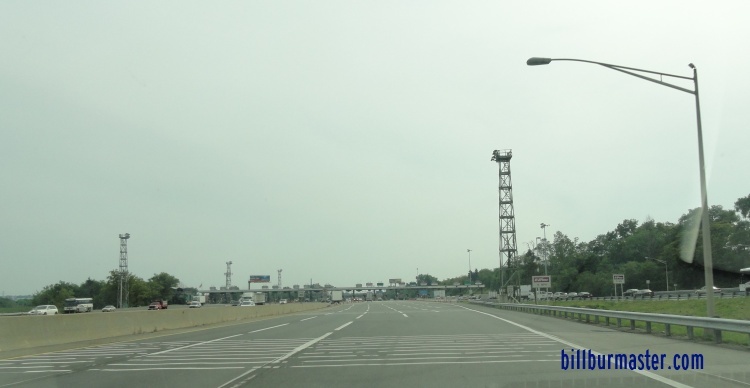 Exit 16E/18E Toll Plaza, near Seacaucus. 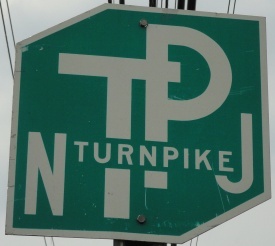 SB NJT one mile from the plaza. SB NJT near the plaza. SB NJT at the plaza. 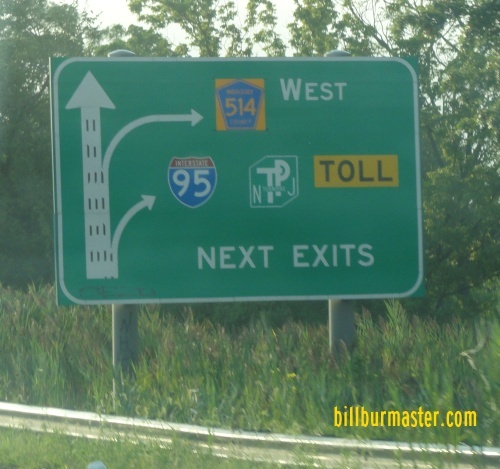 Exit 18W Toll Plaza, near Carlstadt. 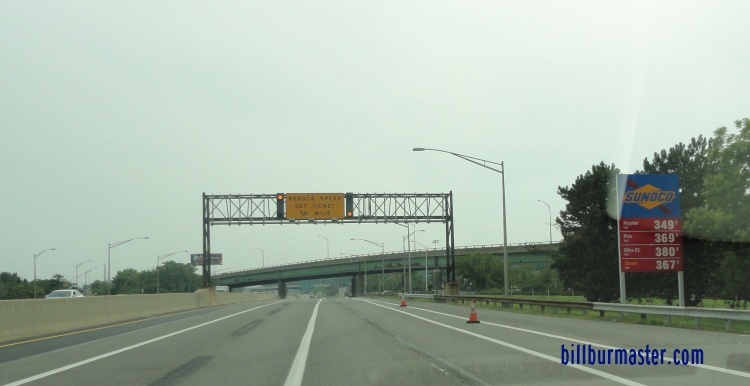 SB NJT at the New York/New Jersey State Line. SB NJT in Fort Lee. 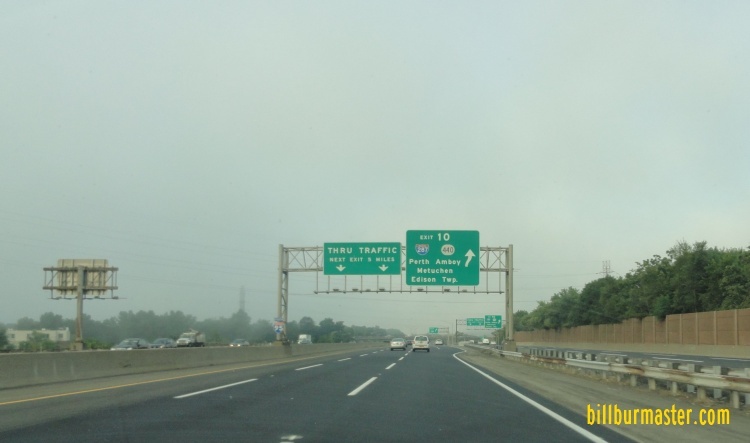 SB NJT near exit 72B. 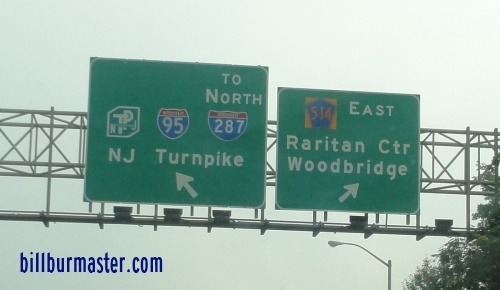 SB NJT at the split between express and local lanes in Fort Lee. A set of BGS's on EB I-80. A set of BGS's on a ramp from EB I-80. 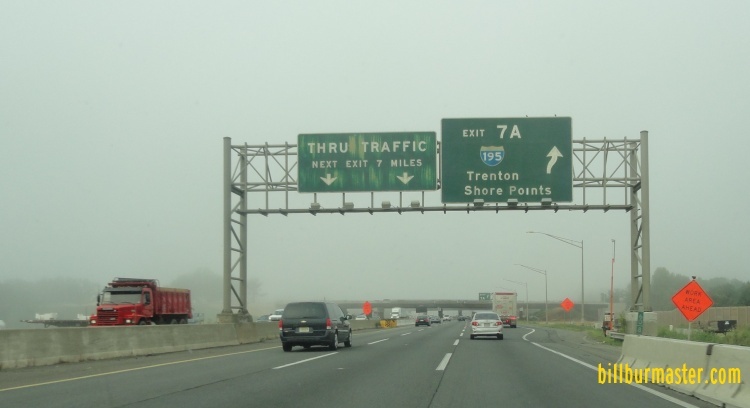 A BGS on SB NJT. 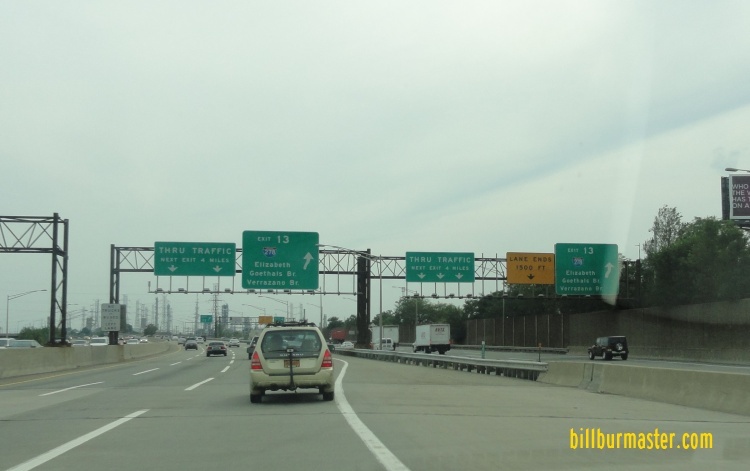 SB NJT near the Meadowlands. 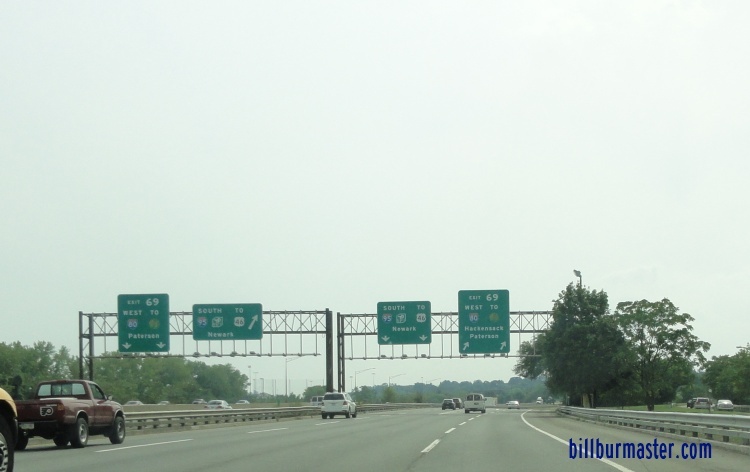 A BGS on WB NJ St Rt 495. SB NJT near the Alexander Hamilton Service Plaza. 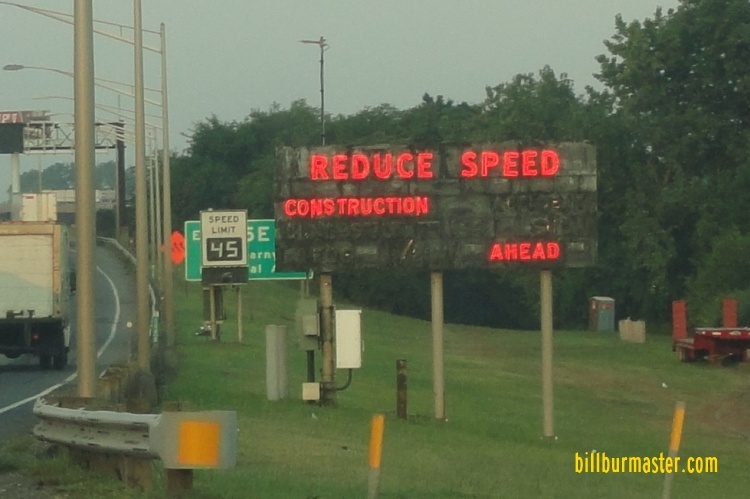 A variable message board on the NJT. 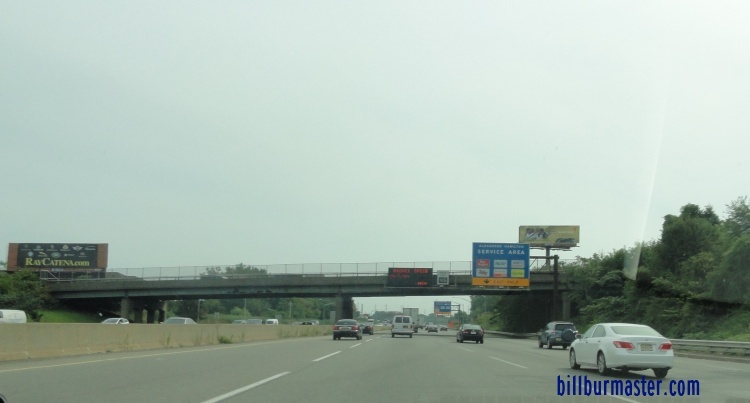 A BGS on EB I-280. 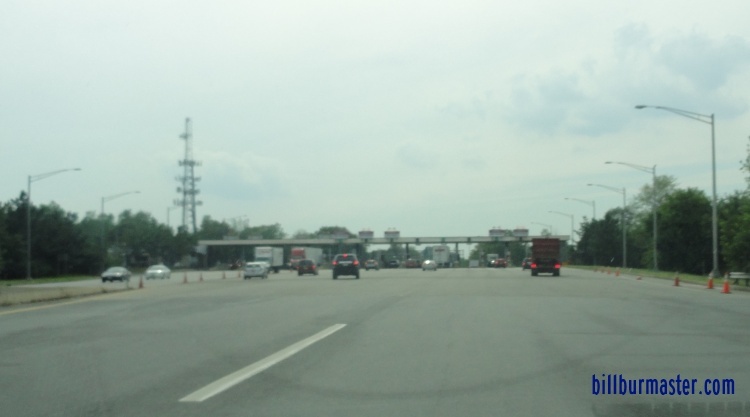 The toll plaza on the ramp to I-280. 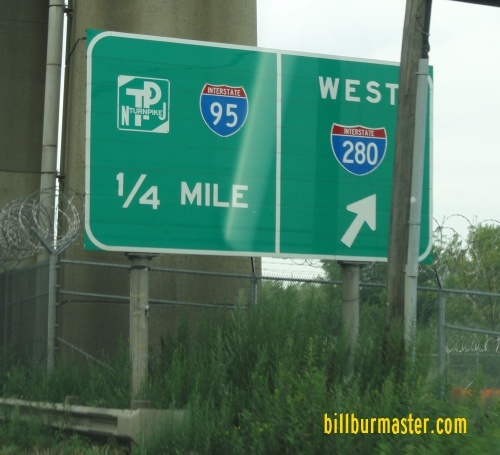 A guide sign on WB I-280. 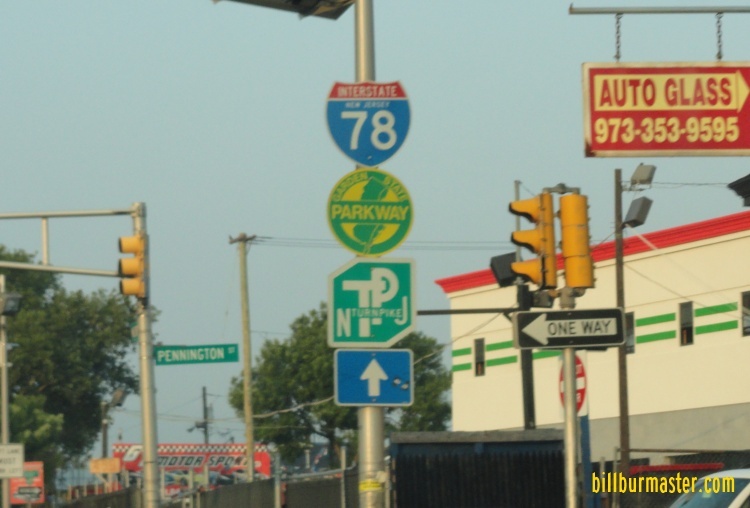 A set of guide markers in Newark. 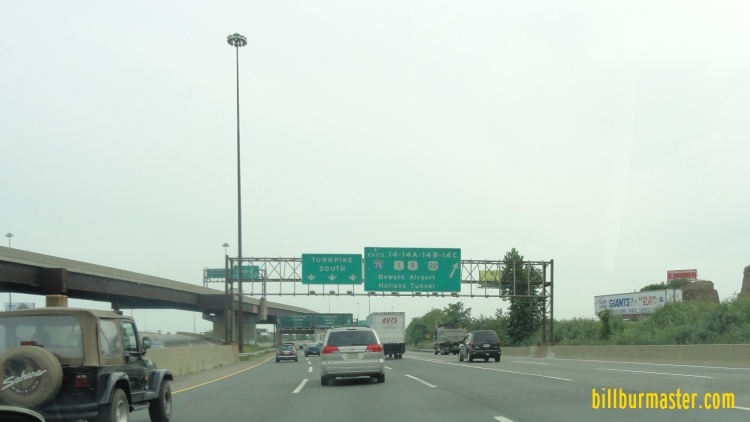 SB NJT near Newark Airport. 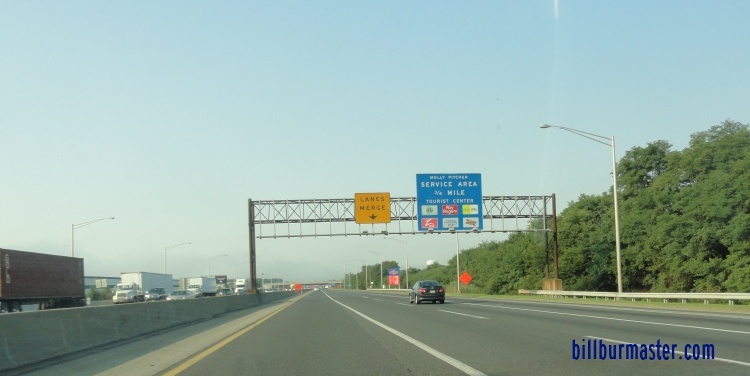 The toll plaza from the NJT to I-278. 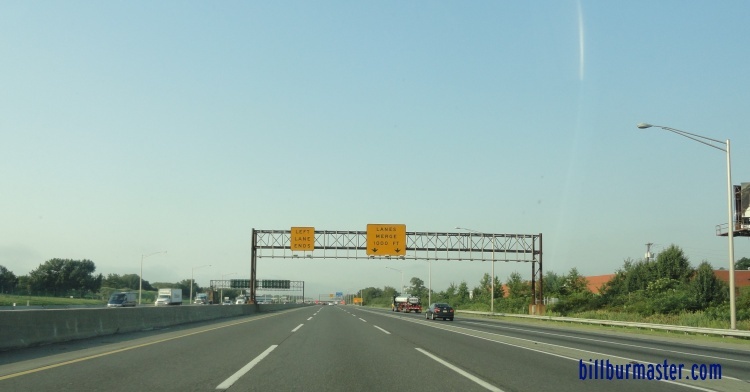 SB I-95/NJT near Port Reading. 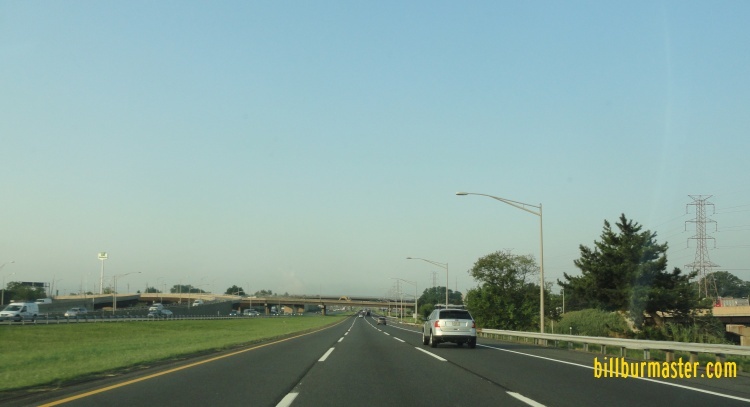 A set of BGS's on the ramp to I-287. 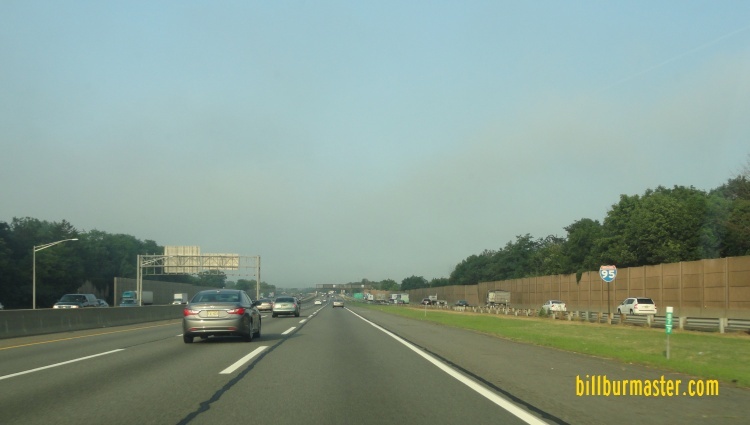 A BGS on SB I-287. 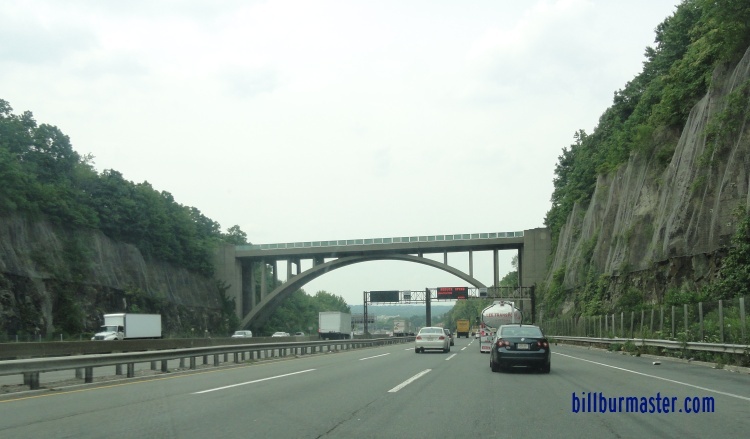 BGS's on the entrance ramp from I-287. 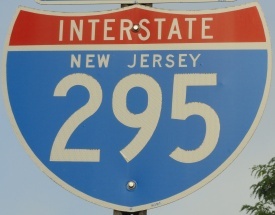 SB I-95/NJT south of I-287. 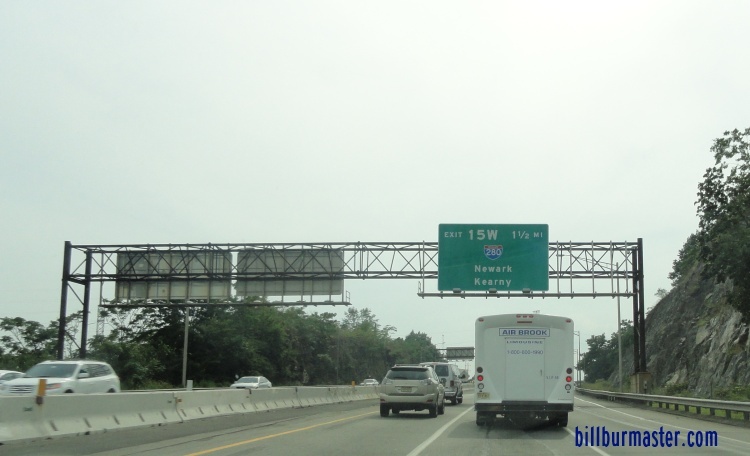 SB I-95/NJT near NJ St Rt 18. 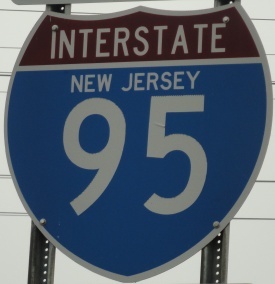 SB I-95/NJT near Prospect Plains. 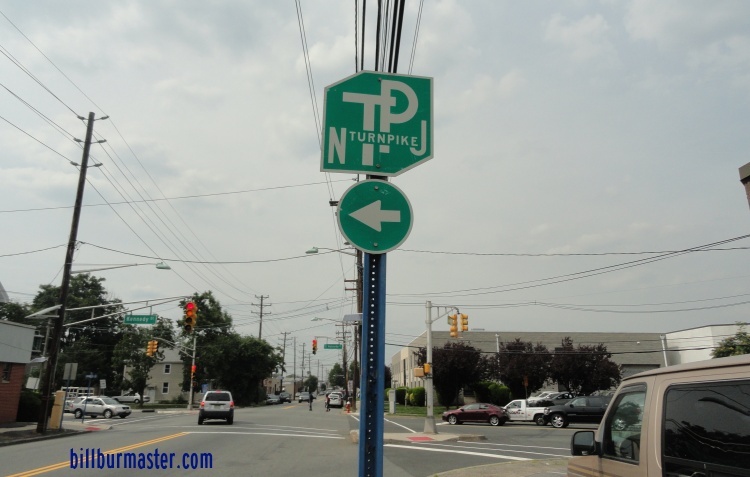 A guide marker on SB NJ St Rt 29. 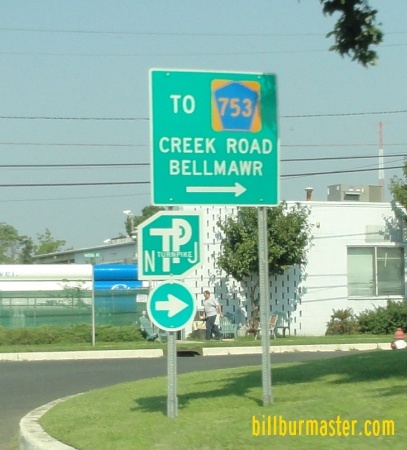 A guide marker in Bellmawr. A BGS on SB U.S. Rt. 13.